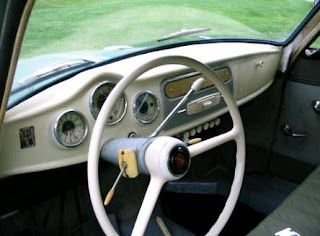 This is a cool old car and a very good eBay ad. OK, first of all the brand name... Goliath-Werke Borgward & Co. was a company started by Carl Borgward in 1928. In 1931 he purchased the Hansa-Lloyd-Werke company and merged the two companies under the name Borgward Group. 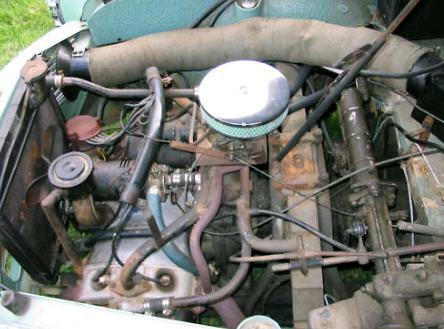 Somewhat ahead of its time, the engine is a water cooled boxer style engine. This was not a quick car, with a top speed of under 80 MPH. 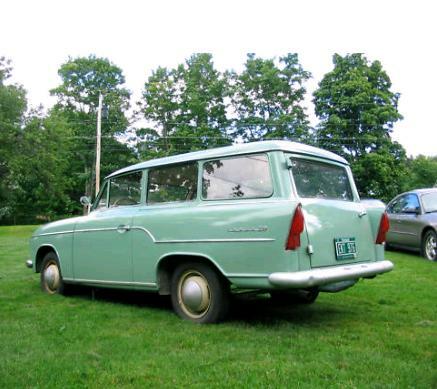 This is a 1960 station wagon (Combi) with a 1958 engine. The seller says that it's not a perfect engine, it smokes a bit and "has some noise", but the car runs and drives. The paint is a Toyota color that's close to the original. The paint job is fairly recent, but has some runs in it, which the seller points out in the pictures. I like this line in the ad: "In thinking about this car, it is very important to understand that vehicles like this are not daily drivers. Small, rare cars of this vintage tend to be slow, unique in handling and not always easy to find parts for." Perfect. I see so many ads for obscure cars where the seller makes it sound like you could drive the car everyday. It's refreshing to see someone being very honest. 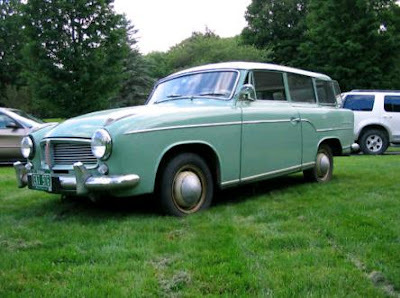 The seller also goes on to say, "What you are getting is a fun vehicle for local drives, a scarce and interesting ride that was ahead of its time in many respects, and a remarkably well preserved piece of automotive history." That's the only reason I can see for owning a car like this and that reason is good enough for me. Located in Montpelier, VT, click here to see the eBay listing. This car is also on a Borgward / Goliath / Hansa website. It has a bit more inof and some different pictures. You can find it here. I was so pleased to see a picture of the Borgward station wagon. It brings back the memories of how this car saved my Mother's life. We had one in the early 1960's. My Mother is writing her life's story and one of her memories is of this car. She had an accident with it where the car skided on a patch of ice and went down a steep embankment. The car landed under a large pine and could not be seen from the street above. Mother had mostly minor injuries. But it could it have been a lot worse if she didn't crawl to the backdoor to get out of the car. Then she crawled up the embankment and a passing motorist found her. Without the sturdy sidedoor locks, to keep her from being thrown out and the backdoor with a handle so she could open it from the inside, she might have been stuck in that cold car for a long time.